The Extended version also comes with the smaller pyrex glass tank of 2ml capacity. I love the fact that this tank doesn't leak, and doesn't burn through coils like one of my other devices. Vapor production is good, and not so over-the-top that I feel guilty vaping down the street. 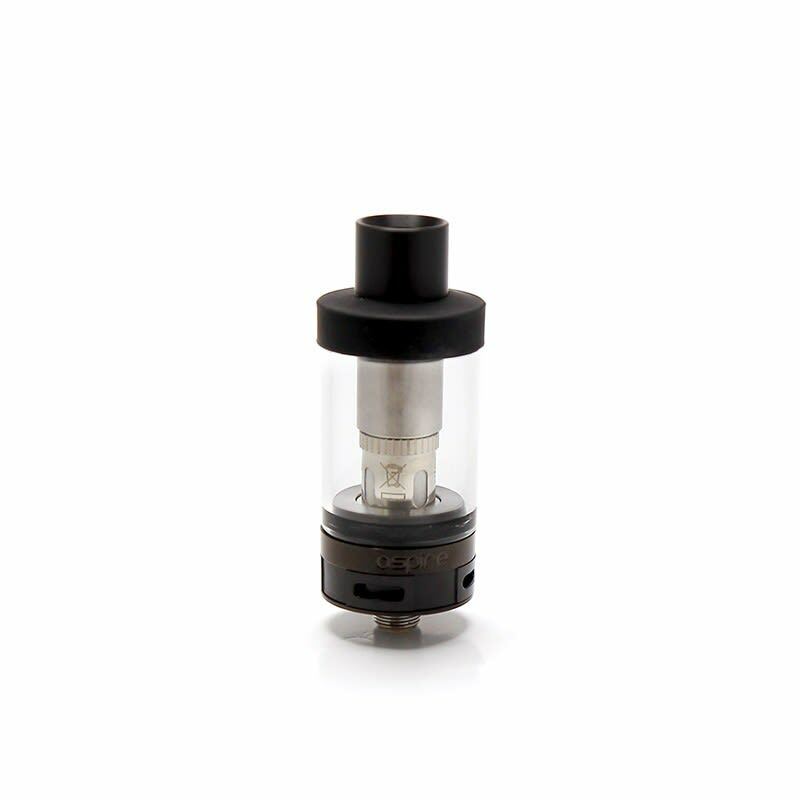 Plus, the fact that I can choose to extend my tank if I want to makes this a great, and affordable, option for anyone looking for a replacement tank. It sits no higher than my last 2.5ml tank. Has a nice wide drip tip and four intakes for a breezy easy smooth lung hit with huge clouds. And so easy to fill with the wide open top and easy to disassemble for easy cleaning. Over all the best tank I've ever had. Plus it accommodates my Vaporesso cCell ceramic coils for the best clean hits. And finally, at around $25 it is well priced and affordable. Works well, however, it leaks like a sieve. Awesome tank! Love that it has the option to extend it so you can fit more juice. Great vapour and LOVE the flavour. Makes every e-liquid taste great! this is a great tank for anyone looking to utilize more power on their device but don't necessarily want that much more vapor. i love that this tank comes with a 4ml options seeing that my last tank was a 2 ml and it was a bit of a hassle to refill constantly. overall the flavor and vapor production on this tank is lovely.